In the Sunday front page article, “V.A. To Propose Shifting Billions into Private Care,” (https://www.nytimes.com/2019/01/12/us/politics/veterans-administration-health-care-privatization.html) is an attempt to privatize veterans care in areas not fully served by the VA. At first glimpse, allowing private physicians to see veterans, where they are under-served, is an easy fix. For injuries that are purely physical in nature, a broken leg or rib, not an issue. However, for combat stress related physical and psychological injuries, civilian doctors, excepting emergency room physicians, are not familiar with mental wounds that accompany physical trauma suffered under combat stress. Civilian psychologists are not trained in these extreme factors, except in the classroom. It would also be a disservice to allow untrained medical personal to treat those whose symptoms originating from mental and physical trauma. 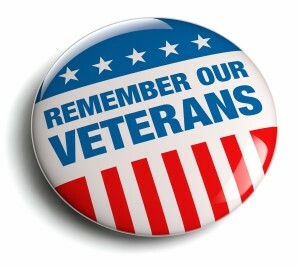 Veterans Day / Memorial Day badge.